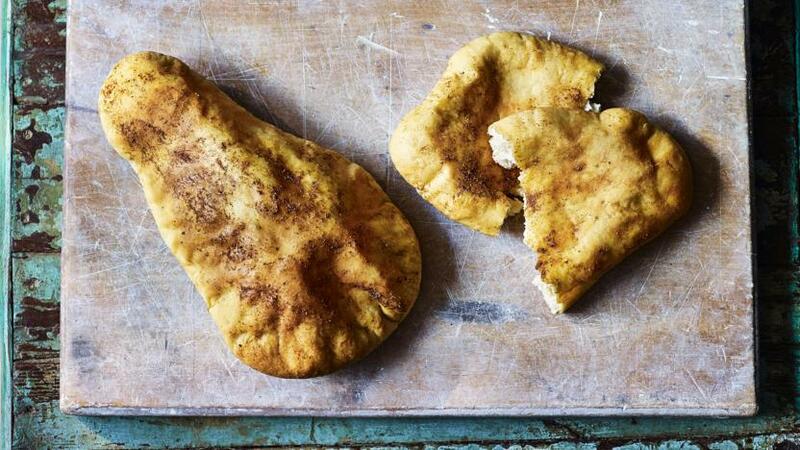 If you've got a bit of time, make this naan bread recipe with yeast. They're fluffy and tender with a spicy ghee topping. Place the flour, salt and yeast into a bowl. Add the yoghurt and melted ghee. 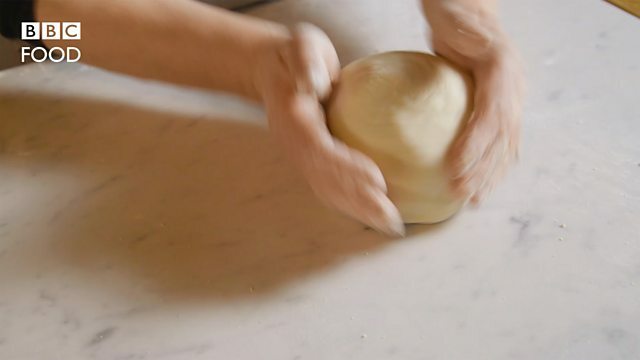 Knead with your hands for two minutes, gradually adding enough water to make soft dough. Continue to knead for 4-5 minutes. Return the dough to the bowl, cover and leave to rise for about one hour. Preheat the oven to 180C/350F/Gas 4. Roll the dough out into a flat tear-drop shape and place it on a baking tray. Place in the oven and bake for 10-15 minutes until puffed up and golden-brown. For the spicy topping, mix the melted ghee with the spices in a small bowl. About 3-5 minutes before the bread is cooked, remove the bread from the oven and brush with the spice mixture. Set aside the spicy topping bowl. Place the bread back in the oven for a few minutes. Once the bread has cooked, brush again with the spicy topping. Serve the bread warm, in slices.